She Waits. The Sun Sets. Sailors Die. A piece of mask theatre inspired by the Claddagh in the west of Ireland, Cleite tells the story of a Fisherwoman waiting for her husband to return from sea. 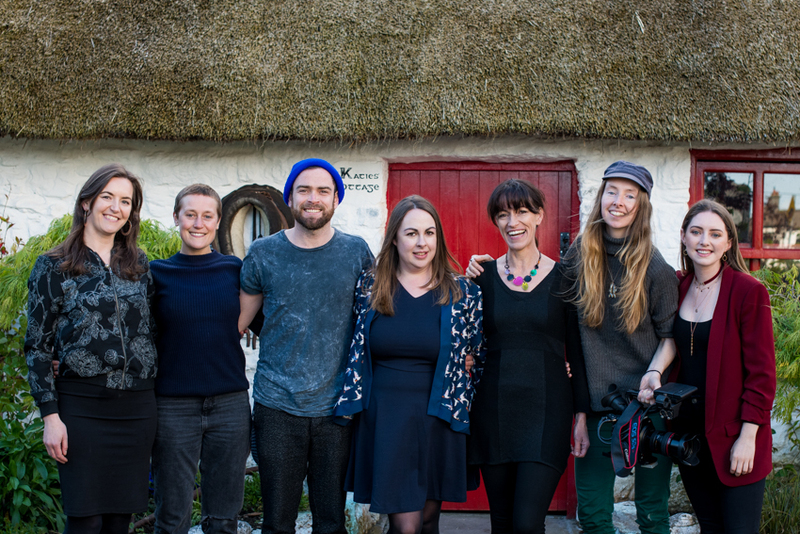 Featuring live Sean Nós songs and based on superstitions of the old fishing communities of the West of Ireland, this piece was devised in Katie’s Cottage, Claddagh, a restored cottage and museum. Sean Nós sung live by Cáitlíln Ní Chualáin. Stage Managed by Catherine Denning. Supported by Galway City Council, Creative Ireland and Baboró. Cleite Premiered at the Galway Theatre Festival May 2018. It sold out three runs including a reimagined version for young audiences at Baboró International Festival for Children where it also toured to Teach Uí Phiarsaigh, Rosmuc.